Is it an onion - is it a shallot? Well, technically Zebrune is an onion, but it has the milder, sweeter taste we associate with shallots. 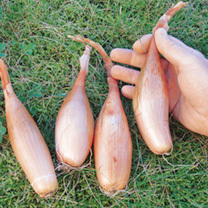 Often called ‘banana’ shallots in the cookbooks, this type is currently much in favour with TV chefs. 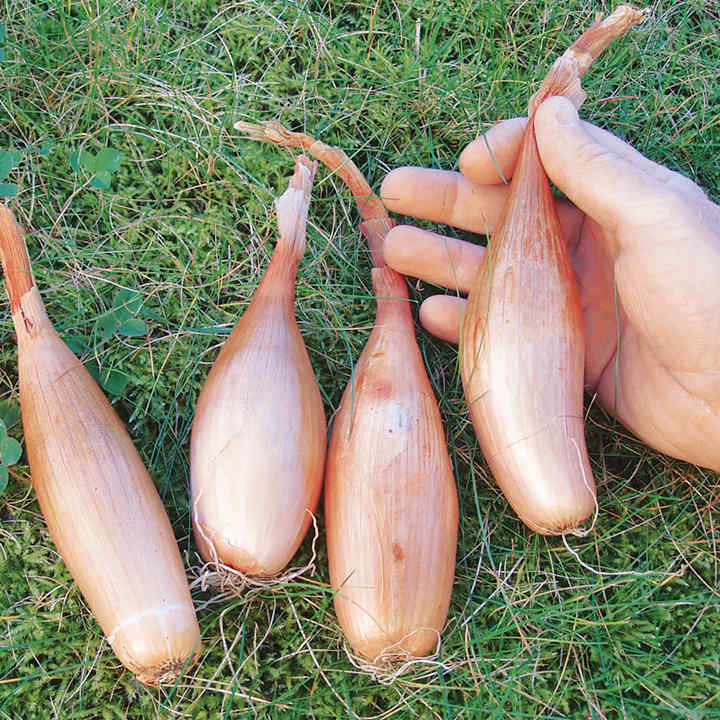 Zebrune produces a good yield of ‘easy to slice’ bulbs. Very high yielding and easier to slice!